Osiris was the Egyptian god of the afterlife, the underworld and the dead. He had a green skin and a pharaoh’s beard, his legs partially wrapped together, and had two large ostrich feathers on each side of his crown. Osiris was brother to the other gods Isis, Set, Nepthys and Horus the Elder. In Egyptian mythology, Osiris was considered to be a “merciful judge” of the dead in the afterlife but also gave life, for example by flooding the Nile or sprouting vegetation. Are you read to live through the mystery and excitement of ancient Egypt? 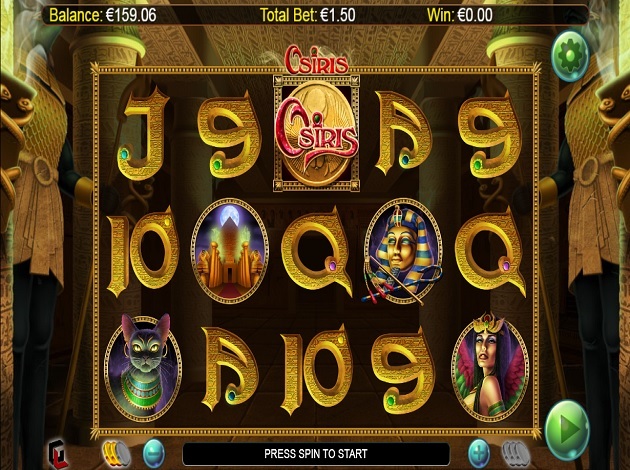 Then let’s see what’s in store for you in the Osiris video slot, brought to Videoslots.com by Games Lab! The Osiris video slot comes with 5 reels, 3 rows and 50 fixed paylines. The RTP is quite high, standing at 97.09%, and you can bet from just € 0.5 to € 80. In addition to this rewarding RTP, there are a few bonus features that will surely keep you entertained! The bonus feature of the Osiris video slot is activated when three or more Scatters - a golden amulet with an engraved scarab and the text "Osiris" - land anywhere on the reels. The bonus feature you receive depends entirely on how many Scatters land on the wheels. In fact, three Scatter symbols activate the "Ausir" feature, which rewards you with 9 free spins. Any winning paylines you land which feature one or more Wilds will be multiplied by 3x during this feature, and if you land another three Scatters the free spins will be retriggered. The "Wild Magic" feature, on the other hand, is awarded when four Scatters land on the playing field after the free spins. Before starting your free spins, a Wild is locked on the middle row of the fifth wheel to increase your winning chances. These locked wilds remain in position for the remainder of the feature, which can be retriggered if you land 3 or more scatters. If you land 5 Scatters, you will get the Underworld Feature, where you get 9 free spins and a 3x multiplier on all paylines formed through the use of Wilds. The Ausir Wild is locked into the middle position of the 5th reel before the first game, while another wild will be locked in another position before every subsequent free spin. 3 or more scatters landing during this mode will re-trigger the Underworld Feature. The lowest paying symbols consist of card costumes 9, 10, J, Q, K and A in beautiful stone blocks, each of them decorated with a shining diamond. The Sphinx and the Palace symbols offer slightly higher payouts, while the Egyptian cat is up next, while the Egyptian woman pays the highest from the regular game symbols. The Scatter, which triggers the three bonus features, does not offer any payouts, and neither does the Wild which is active on reels 2, 3, 4 and 5 when substituting for all other symbols except for the Scatters. The Osiris video slot has the kind of Egyptian inspired design and sound that brings you all the charm of that particularly golden age. The interface is set against the inside of a pyramid, a background where we can see majestic statues, spider webs and ancient inscriptions. The animations are nice and discreet with a lot of movement on the symbols. The control panel is placed beneath the reels, while in the top right corner you can access the menu to adjust the coin value, set the autospin setting, audio options, and read about the game rules, symbols and features. Higher up on the screen you will find information about your balance, your total bet and your winnings. The Egyptian theme and exotic atmosphere are of course always enticing, but Osiris with its 50 winning paylines and 3 amazing free spins features is a job well done by Games Lab. In the Osiris video slot you have the chance to land some really rewarding prizes. We hope you will enjoy the game and wish you the best of luck! Games Lab was founded in 2008 as a part of the Australian Blue Wombat group, which was formed back in 2002. Today, they have offices in Sydney with around 50 employees including designers, programmers, animators, artists, and more. Games Lab have placed their main focus on three key areas: entertaining games for all, social casino games, and casino slots where you can play for real money. 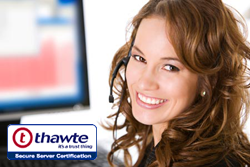 They also have a multiplatform development where they have managed to launch and release apps for Android, iOS, and Facebook – meaning that they are well on their way to reach all their goals. In January of 2013, Games Lab released their first ever slot product on Facebook, and later that year released it on iOS and Android too. Today they have over 24 live slots on the market, and their goal now, through their experiences and assets, is to become a renowned online game provider.